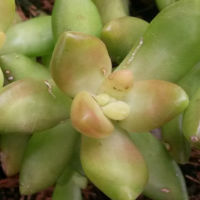 Rosettes of football-shaped yellow-green leaves; when grown in the sun they develop orange-red highlights. 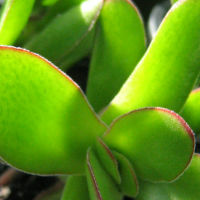 Intense rounded green leaves with a red margin. White flowers in early autumn. 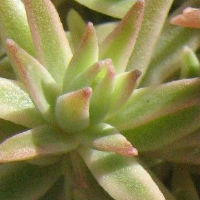 Tall, upright sedums with smooth grey-green foliage. 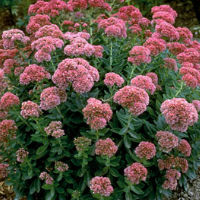 Flowers through end of summer and into autumn, flowers open pink and mature to a copper colour. Feathery blue-grey leaves with bright yellow flower spikes. 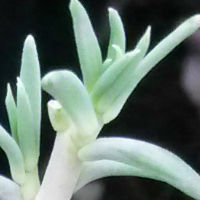 Long, trailing stems and plump, densely packed foliage of small rounded silvery-white leaves densely packed on cascading stems. Striking appearance of softly tricoloured leaves which are silvery and edged in deep maroon forming rosettes at the ends of short branches. 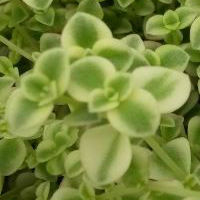 A beautiful delicate soft grey-green ground cover with masses of miniature leaves. 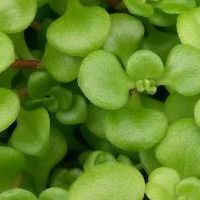 Red-purple glossy leaves form tiny rosettes on short stems. Bright pink flowers in summer. 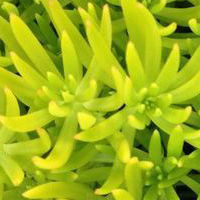 Soft needle-shaped lime-green leaves form dense mounds with starry yellow flowers in spring. 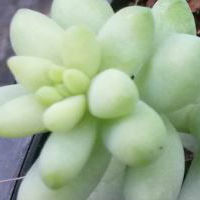 Wide spreading succulent featuring fleshy rosettes in a range of green tones. 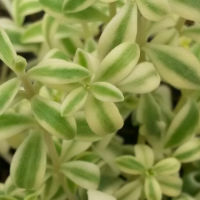 Variegatum leaves are light green with a creamy white edge. The flowers are yellow star-shaped and profuse from late spring to early summer. 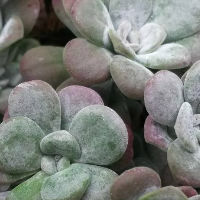 Plump bead-like leaves in lovely shades of pale green, pink and cream clustered on short stems. 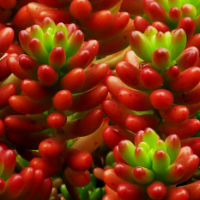 Fleshy short rounded green leaves tipped crimson clustered on short stems. 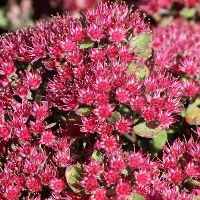 Purple-grey succulent foliage, topped with clusters of wine-red starry flowers in late summer. 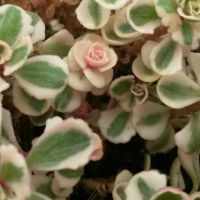 Grey-green leaves variegated with yellow and green and edged in pink in winter. 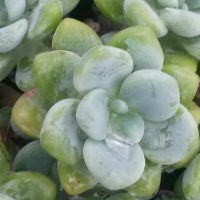 Cascading powdery, grey-green leaves with grey-white succulent rosettes. 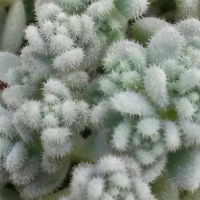 The thick leaves are actually green but with a powdery coating that makes them appear white. Bright yellow starry flowers appear in late summer. 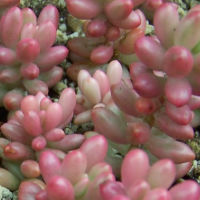 Sedum spathulifolium ‘Purpureum’ forms a low, slow-spreading mat of powdery, greyish-silvery green rosettes of leaves suffused with a vivid purple. Bright yellow starry flowers appear in late summer. 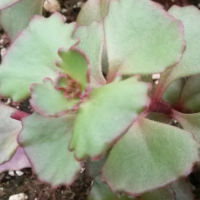 Attractive spreading perennial with striking appearance of softly tri-coloured leaves. A lovely, dainty cascading ground cover with variegated green and white leaves edged in pink. 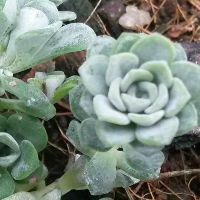 Medium-height, non-spreading clump of gracefully arching stems that are covered in round, smoky blue leaves. 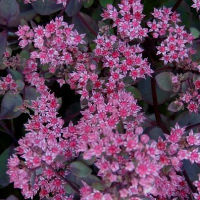 Dusky-pink starry flowers appear in late summer.